Certain woods have the ability to take on an unearthly metallic shimmer called chatoyancy. The name is borrowed from gemology, where it is used to describe the optical reflectance found in stones like Tiger’s Eye. 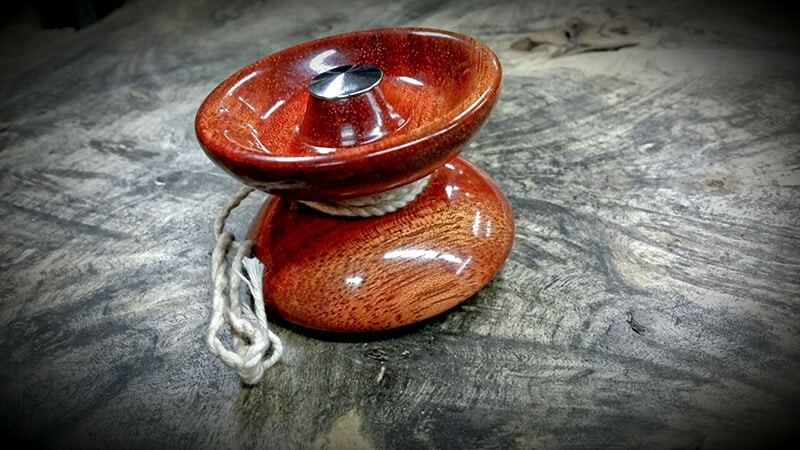 Chatoyancy predominantly occurs in woods such as Bloodwood, Desert Ironwood and Purple Heart. Though most tree species do not normally exhibit this effect, high soil silicate content sometimes imbues certain tree species with this highly desirable iridescent quality. Bois d’Arc is a prime example of this rare occurrence. Artisan Dice selects Bois d’Arc from three specific North East Texas counties where this wood exhibits a fine chatoyancy that can be brought to full brilliance by master craftsmen.